This package is deprecated. tf_visual_tools is being developed as a replacment. 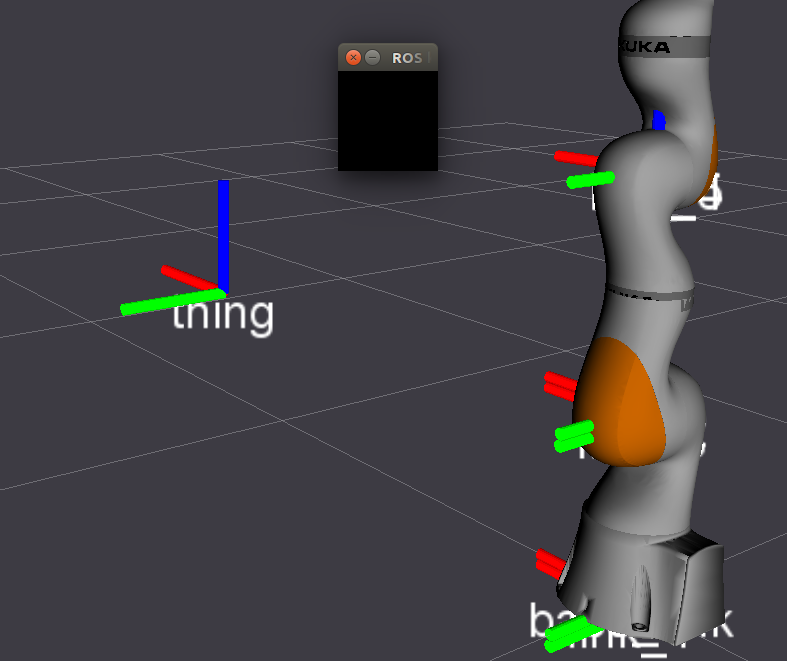 Move /tf frames around using your keyboard or interactive markers - a simple calibration-by-eye tool! TF Keyboard Calibration developed by Andy McEvoy and Dave Coleman at the University of Colorado Boulder, TF Interactive Marker developed by Sammy Pfeiffer at PAL Robotics. Video example of interactive marker tf calibration. 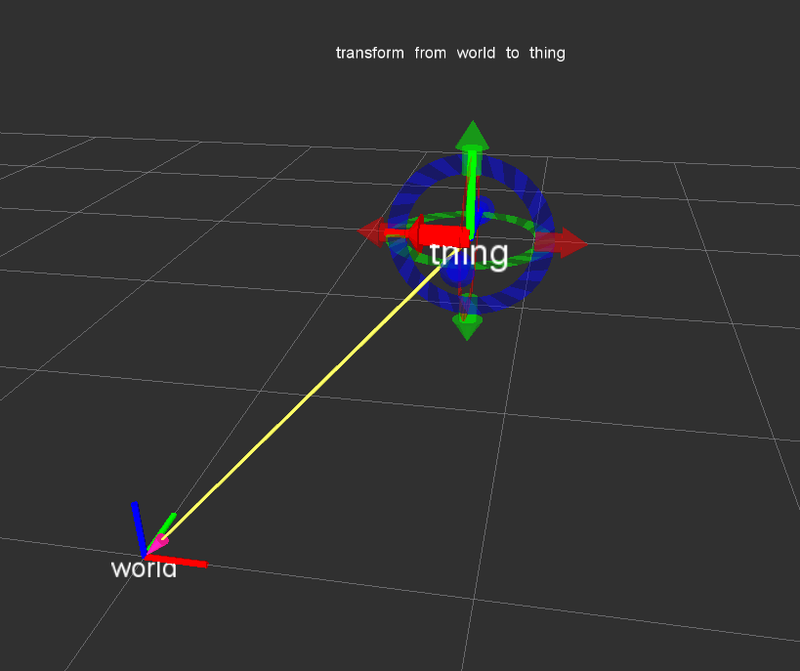 Start Rviz and use the TF display to visualize its effect. You can now use the keyboard shorcuts below to move the frame around. NOTE: Be sure to have the little black window focused on to recieve keyboard input. Once the TF has been positioned, press p to save the settings to the config file. The TF will use these new settings when relaunched. Create a launch file and configuration file similar to the demos in the package's config/ and launch/ folders. Interactive marker /tf calibration is implemented in an entirely seperate python node from the keyboard functionality and it is self contained. You can copy tf_interactive_marker.py and it will work in a standalone fashion. Use -h to get help on this node's various command line arguments.